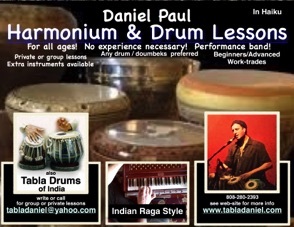 Daniel Paul is available for private lessons and group workshops online, on Maui and worldwide. 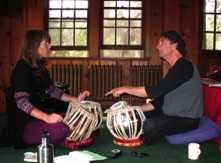 Whether your interest is classical tabla or kirtan chanting accompaniment, or just plain drum therapy for anyone on any type of drum, any age and ability,. Would you like to try playing one of the world’s most unique instruments! 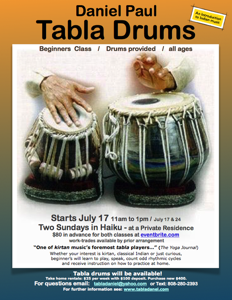 Seasoned tabla drummer Daniel Paul is offering two introductory beginner classes at his home in Haiku on Maui. 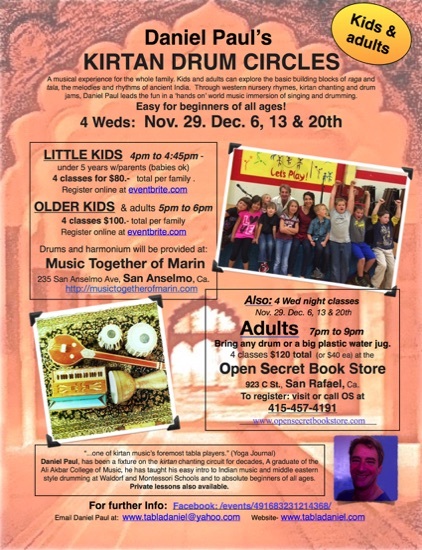 come learn to play, speak the drum syllables and count in odd rhythmic cycles. 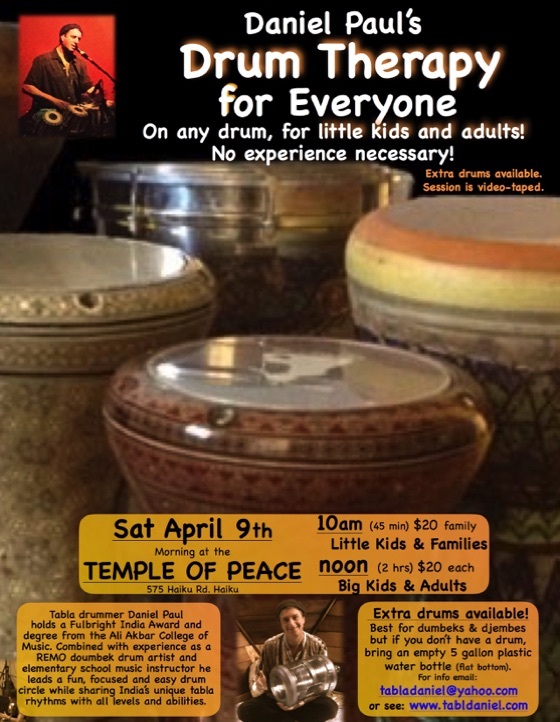 Drums will be available at class. 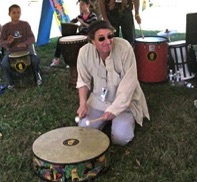 following Daniel Paul as he leads the group through three simple drum strokes. 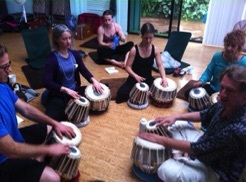 Daniel leads a fun, focused and easy drum circle while sharing India’s unique tabla rhythms with all levels and abilities. 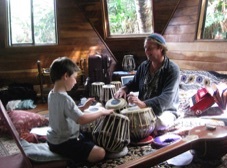 especially if you can hold it on your lap, however, a doumbek, djembe or ashiko type drum works best. If you don’t have a drum bring an empty plastic water bottle!